ISE becomes the new sponsor for the Women’s team in League -2 for the new season. The new season 2017/2018 of the women’s team of the Basketball Club Almería and with their return to the Women’s League-2, will have our support. 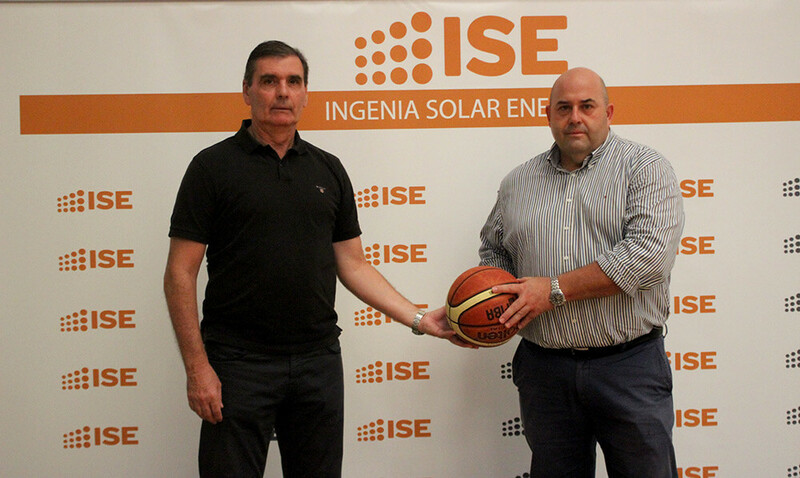 This morning, the president of the Almería Basketball Club, Paco Rueda and our director at ISE, Francisco Javier Fernández del Pino, have sealed the agreement that makes ISE the main sponsor of the team. For Ingenia Solar Energy, this sponsorship is very special and its because last year, we bet for a group of girls with the maximum illusion of getting the promotion to League 2 and we have achieved it, with humility and solvency, values that fit in a determinant way in our company. The effort made had to count with the support of ISE and now we are back to bet on this team, ISE CB ALMERIA. Now our goal is to keep the team on L2 and of course give the necessary support both by ISE and Group Gransolar to achieve it. From the group, we will be following this league of national level.